These washable keyboards will definitely go on my Christmas list for items to purchase. Aren't they the most problem solving gadget ever created? My clumsiness and messy nature have caused more fights with my desktop mac computer; each time spilling protein shakes and water on my keyboards. It's like I'm programmed to repeat those behaviors repeatedly because one time is never enough. My keyboard always loses out to those liquids. 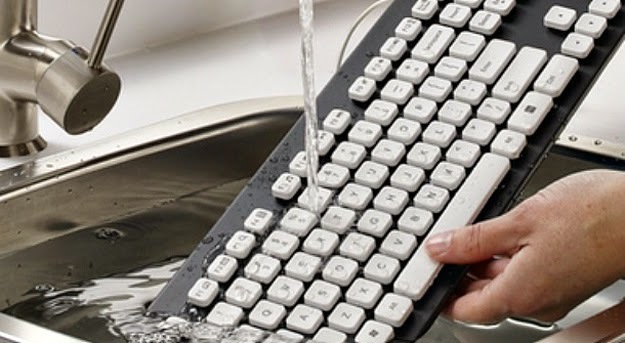 With a washable keyboard like the one featured here, I could just shove it in a dishwasher. Being that it's okay to plunge underwater of 11 inches makes dish washing safe. 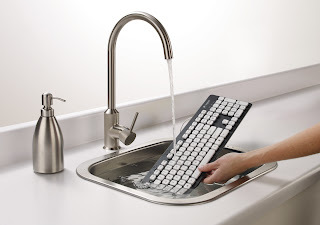 I can't see how anyone can bypass an investment into these Washable Keyboards, especially if most of your eating takes place at your computer screen. How come now is when they roll out this practical idea. Why not before. Perhaps most people aren't as clumsy as I am to make it a big deal. 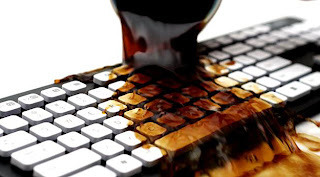 Investing into a washable keyboard would not only help to clean up food spills, It would also help getting rid of animals hair, or germs spread by humans. This is a worthy investment for any computer geek or technology freak. (like myself). 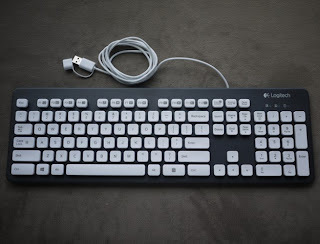 The making of this Logitech is so sophisticated even the keys are laser printed and coated with a UV covering so they won't fade or chip from washing. 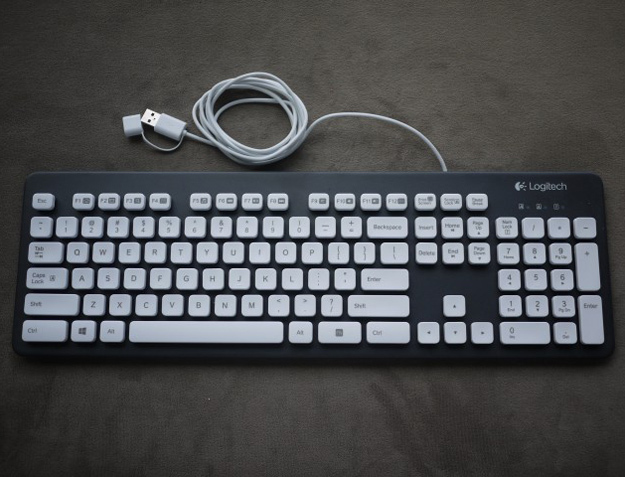 There are numerous companies that have started selling spill-sproof, washable keyboards, but the Logitech is my favorite and it's available conveniently on Amazon. It's only $40 bucks, Definitely a bargain for me considering all the keyboards that I've gone through. What are your thoughts? Please comment below and share this article! 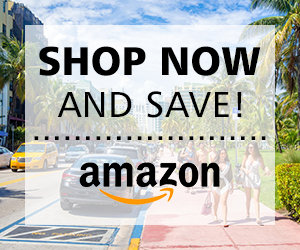 Svetlana Koslov is the founder and CEO of Miami Observer, a multifaceted online news outlet that reports daily on the latest developments in fitness, social media, design and everything of human-interest. As an Internet entrepreneur, she is dedicated to constantly trying to develop new ways to bring content faster and closer to the end user in a streamlined fashion. To connect with Svetlana for topic ideas, email her at miamiobservers@gmail.com or via social media. Looks like a good investment. Didnt know one of these existed.